Child-friendly? There's a lot of adult content going on in the Twilight series of films – namely sexual situations and fantastic violence. But these movies have become wildly popular with many young people, so parents should use their better judgment when deciding to take their children to see Breaking Dawn – Part 2. I have to admit, there were a lot of positive and negative emotions flying around inside me as I approached the theater to see The Twilight Saga: Breaking Dawn – Part 2 with my little ones. Like many children their age, my kids have been borderline obsessed with this tale of vampires and werewolves since it first hit the screen several years ago. And since that introduction, I've endured countless hours hearing about the books, watching the movies (why are there so MANY of them?) and listening to debates between Team Edward and Team Jacob. Needless to say, it's been a rough few years. But while my usual trepidation about Breaking Dawn – Part 2 was present, it was matched by an amazing realization – THIS IS THE END! That's it. No more splitting one book into two movies (damn you, Harry Potter 7, for planting that seed) and no more Twilight. Sitting through this last film was kind of like watching the ball drop on New Year's Eve – there's plenty of buildup to the moment, but in the end, we can all go on with our lives. In case you've somehow missed hearing anything at all about the Twilight story in recent years (and that would mean you're infinitely blessed), Breaking Dawn – Part 2 picks up with Bella finally becoming a vampire after the terrifying birth of her vampiric (and part werewolf…) child, Renesmee. Somehow this means that the vampires and the werewolves have to go to war, and an epic battle ensues. 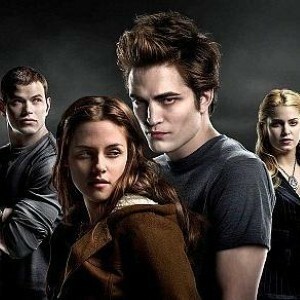 I'll be honest, like the other Twilight movies, there's not a lot of plot going on in this one. It's a story of girl meets vampire, then girl meets werewolf – and not much else. Edward Cullen doesn't like Jacob Black, vampires don't like werewolves, Taylor Lautner doesn't like keeping his shirt on and Kristen Stewart doesn't like acting lessons. Even Robert Pattinson has admitted the Twilight movies are terrible, so keep that in mind. It's pretty amazing that this series has been so popular. Say what you will about True Blood or Buffy the Vampire Slayer, at least those went beyond subjects like, "Gee, wouldn't it just be so AWESOME to have a vampire boyfriend?" Bite me. Long story short, your kids are going to gobble this up like candy while you sit in horror – but at least it's over. Child-friendly? Vampire babies, blatant sexuality and intense scenes of fantasy violence mean that this PG-13 flick is accurately rated, as it may not be appropriate for families with younger children. Recommended for mature children (who don't understand proper story structure) ages 10 and up.